The Register of Deeds officially records certain legal documents and real estate records, such as deeds, mortgages, satisfactions, easements, covenants, plats, contract for deeds, assignments, powers of attorney, etc. 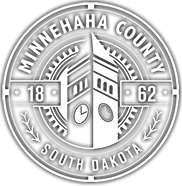 Our office records the history and title to the land in Minnehaha County. Our land records date back to the early 1870's. If you have questions concerning your real property, we are happy to assist you. However, the Register of Deeds does not give any legal opinions so, if you require information for legal purposes, completion of legal forms and the proper method of transferring property to best suit your particular situation, you should contact an abstractor, a title company, or an attorney of your choice.